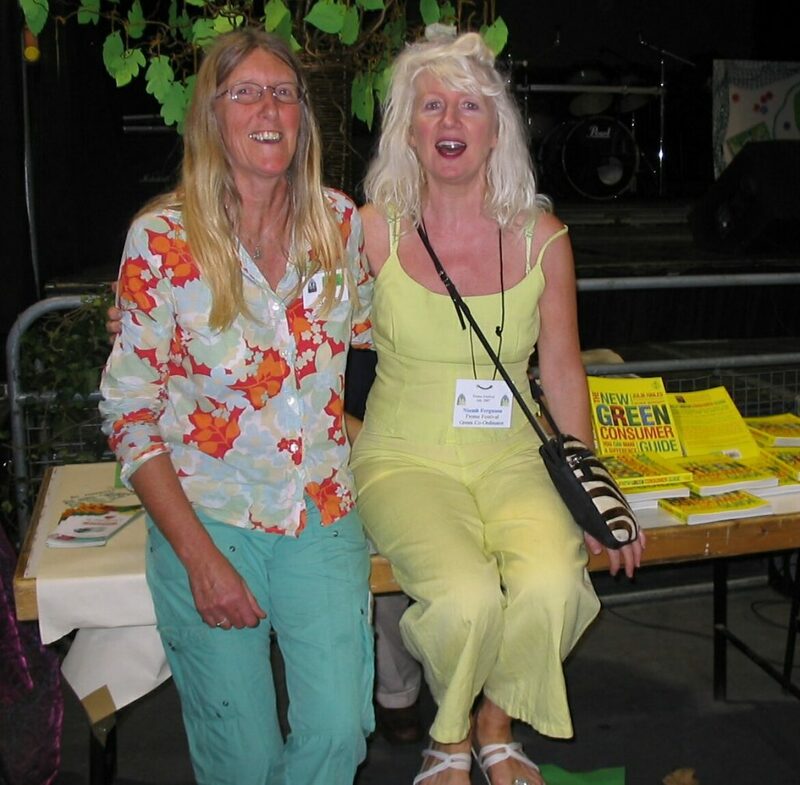 Soon after the last chords of the Live Earth concert had died away I went to another green event on a very different scale – the Green Fair at the Frome Festival. Opened by Kevin McCloud (of Grand Designs fame) who has a Madonna-like status in the area, the event was a huge success, with more than double the number of people than were expected. There weren’t any bands, although there was some music as a couple of ballads were played at the end. And most people arrived on foot or by bike (I have to admit that didn’t include me because I came from further afield). But the stalls in the Cheese and Grain shed at the end of Frome’s main street were humming with trade. My son Rollo (aged 10) managed to find a rather unattractive cushion with swirly patterns on it made from some synthetic fibre – I made him return it. Wondered what green criteria it met – possibly recycled from some horrendous looking curtains. But there were lots of innovative and colourful things that I found more appealing. One stall run by Judith Pidgeon from the Martinsey Isle Trust was encouraging discussion on green funerals. We met when I was the key note speaker at the Green Funerals Exhibition in May. So Judith asked me if I’d judge their competition for green coffin designs. The prize for the winning entry was a copy of The New Green Consumer Guide which has a section on green death, including an eco-rating of coffins. I brought my sons along for the day. They proved to be fantastic at selling The New Green Consumer Guide and had a receptive audience. We sold more than at any other event I’ve been to. The food at the café (Grange Cookery) was so popular it was almost impossible to get it – the queue snaked around the room for the whole time it was open. But I did manage to get a glass of proper freshly squeezed orange juice and at the very end a cheese sandwich with some really delicious chutney. Of course fairs of this sort don’t get to the sort of audience reached by Live Earth and the people who attend them are generally already converted. But I’m afraid that I’ve yet to be convinced that adulating pop stars with a carbon footprint the size of a small town is going to do a lot for climate change. If Elton John decided to give up his cut flowers, Madonna restricted herself to a couple of commercial flights a year and the Red Hot Chilli Peppers (whoever they are) got rid of their private jet, then we’d be talking. I wonder if anyone can be super-rich and super green at the same time or is this just a green dream? This entry was posted in About me, BLOG, Death & Dying, Done, News 2007, Speeches & Events and tagged Climate change, Green death.